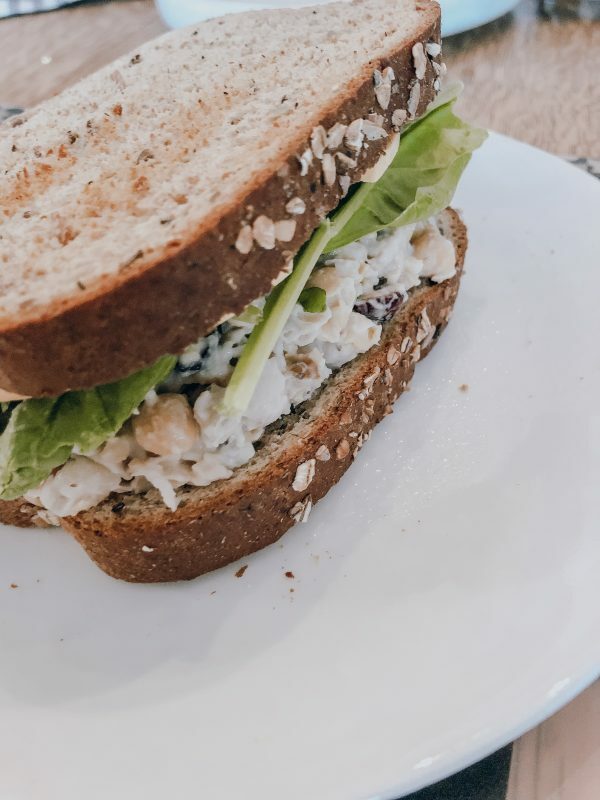 I haven’t had turkey in 7 years but that doesn’t stop me from enjoying a lot of the cliche Thanksgiving dishes like stuffing, mashed potatoes, rolls, pumpkin pie etc I even love making a vegan sandwich the next day with leftovers! Today I’m sharing a recipe that I came up with after Thanksgiving this year… one where we actually didn’t have stuffing or cranberry sauce! So really, you can make this ANY time since the ingredients are simple and there’s definitely no turkey required! 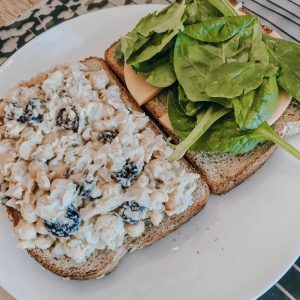 This sandwich pulls together a lot of the familiar flavours you get from making a turkey cranberry sandwich but with lots of nutrients (and no animal cruelty). 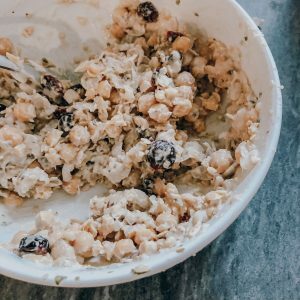 Combine the chickpeas and mayo in a bowl and mash with a fork. Add more mayo if it seems dry! Serve on bread, lettuce or crackers... heck it's even tasty all on its own! « Organic bath, body and aromatherapy sale!